Plenty of Bali’s beaches are calm and perfect for stand-up paddle boarding, learning to scuba, and snorkeling. But if you need to get your adrenaline pumping those sports might not be enough for you. So, how about swimming with sharks? 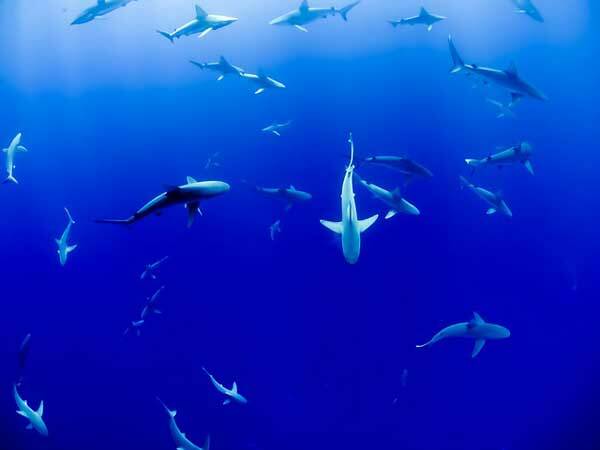 Thrill-seekers should head for Serangan Island, home to Bali Sharks (also known as The Serangan Shark Project). Its mission is to save blacktip and whitetip reef sharks while educating people about these fascinating creatures in the process. There is purpose-built nursery pontoons for the pups (baby sharks) and tours allow people to swim and snorkel with them. If that’s too close for comfort for you, you can still get up close by feeding the pups their lunch. The tour also takes you to the neighboring Turtle Conservation and Education Centre where baby turtles are hatched and nurtured before being released into the ocean. A three-hour tour includes the feeding, snorkeling (mask, snorkel, life jacket, and towel are provided), drinks, and a meal. Entrance to the Turtle Conservation and Education Centre, your tour, transportation, and insurance will run you about $90. 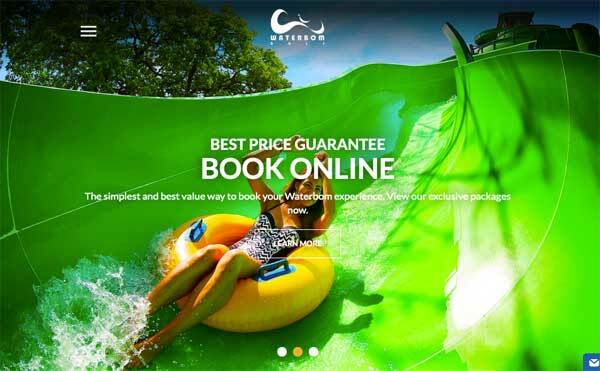 Named as one of the world’s best waterparks, Kuta’s Waterbom has something for everyone. With activities ranging from mellow (think laidback lounging on gentle laps of the lazy river) to extreme (twisting, sky-high fast and fierce slides) and it’s certainly not just for kids. Head for the inviting Pleasure Pool with the swim-up bar or kick back at The Shack, a Caribbean-inspired joint offering up juicy burgers and cold draught beers. A single day pass is $35. Want to breathe underwater without being attached to oxygen tanks or being scuba certified? 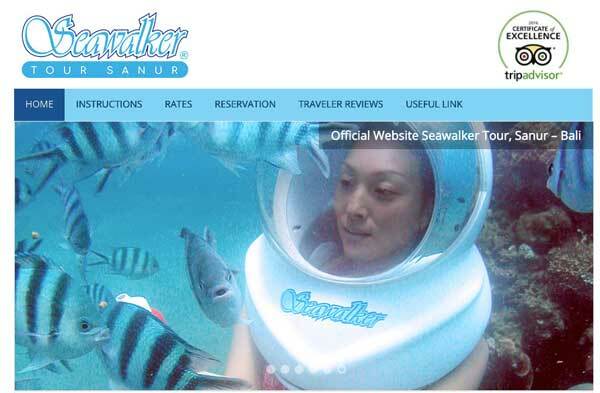 Seawalker Tour Sanur allows you to saunter on the ocean floor thanks to a specially designed helmet, reminiscent of an astronauts’. A small hose forces fresh air into the helmet, allowing you to breathe normally. You can even keep your glasses on. Explore a fascinating underwater world without even getting your hair wet. Prices start at $34. Learn to ride the waves. Bali is renowned for its killer rollers, but that doesn’t mean you can’t learn there. Seminyak’s calm waters make for an ideal spot to take your first lesson. Most of the beaches around Seminyak have calm waters and sandy bottoms; it’s exactly what a newbie needs. There are dozens of surf shops to choose from when you get there. Prices start at $35. 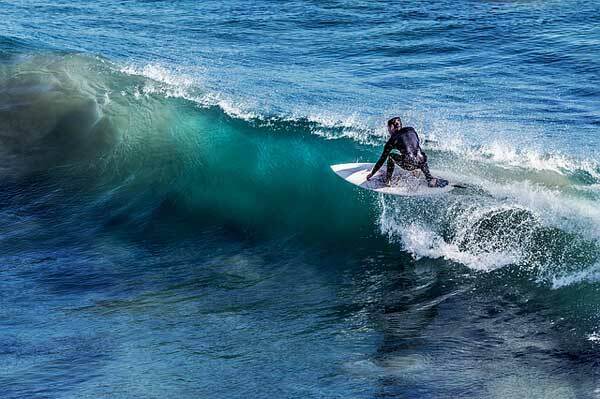 If you are already a seasoned surfer, head to Uluwatu for its world-famous surf break. This legendary spot has five different breaks to choose from with different swells, but all are consistently surfed by the best in the world. Get your heart pumping amongst the swirling rapids of the Ayung River. 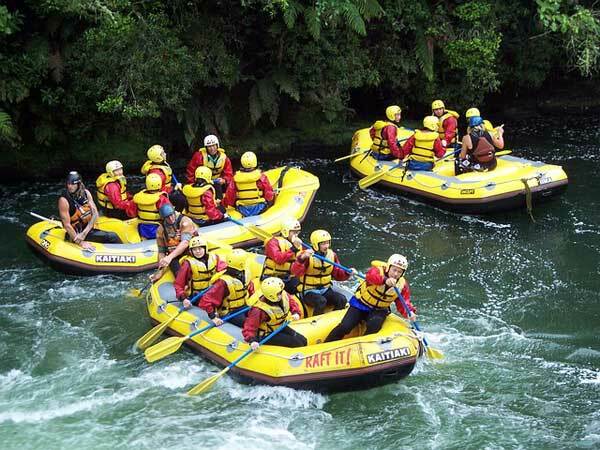 Take a half day white water rafting tour to any number of rivers in Bali, but the Ayung River is over 8 miles long and has 28 class two and three rapids. You’ll paddle past waterfalls, rice paddies, cliffs, and rainforest. Prices depend on the company you go with but can be found for as low as $30. Take a tour through authentic Bali—rice terraces, bamboo forests, jungles, rivers, and local villages. Go on an easy ride through the countryside or feel the full power of the machine and learn to ride up and down steep sloping terrain. You can ride alone or tandem depending on your comfort level. Get a bird’s eye view of the island. 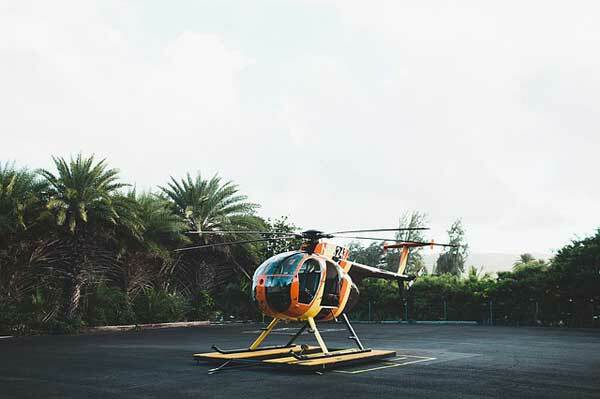 Choose a helicopter tour that is suited to you and your budget. 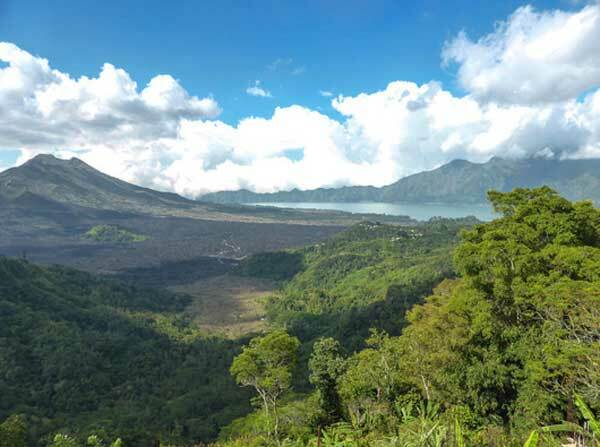 Anything from a 30-minute sundowner flight to a private Best of Bali one-hour flight which highlights the lush green rice terraces, breathtaking volcanoes, and statuesque temples. Prices start at $150 and go sky-high depending on the duration and location of the flight. And if you’re taste buds are as adventurous as the rest of you, how about sampling one of the world’s most expensive and eccentric coffees. Kopi Luwak, otherwise known as “cat poo coffee” is made from the droppings of a civet cat that has eaten coffee cherries. The acids in the digestive system ferment the fruit and, after the droppings are collected; it gets dried and roasted killing any bacteria. Since the beans are fermented, the taste is supposed to be less bitter and smoother than regular coffee. Authentic Kopi Luwak has sold for as high $70 per cup, but in Bali, you can go to the farms where it’s produced, take a tour and sample (pun intended) a few cups. It can also be found in cafes throughout Bali. Prices range from $4 to $12.